If you plan on traveling to a foreign country in the near future or you have friends, clients/co-workers who speak a different language than you, we've got a communication tool for you. The OneTongue app can be used on your iPod touch, iPad, and iPhone to offer instant translations so you can easily and quickly communicate with others. There is no need to carry around a book of translations, or worse yet, spend hundreds of dollars on language courses when you can refer to this app instead. This app is just so different than your typical translation tool, it actually feels really fun and cool to use. Using this app requires you to do a "handshake" with the other person's mobile device. This means you need to flick your phone using your wrist while the other person does the same thing, at the same time. This is called a "handshake" and allows them to connect to each other. Now you're ready to choose the language that you plan to type in and you're ready to start talking. 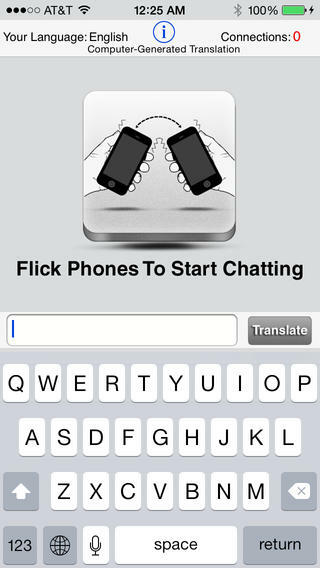 You type out what you want and the messages are translated between your device and the device of the person you are chatting with. There is actually a very large list of languages that the app can translate between: English, Spanish, French, Portuguese, Italian, Deutsch, Korean, and plenty more. The translations are instant so you can have a real-time conversation with each other and not have to worry about looking up words and in the process losing your whole train of thought. This makes communication so simple and quick and really can help you in so many different ways. 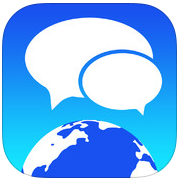 The OneTongue app can be used on your iPod touch, iPad, and iPhone to allow you to have a live conversation with someone in a different language thanks to the instant translations it provides.